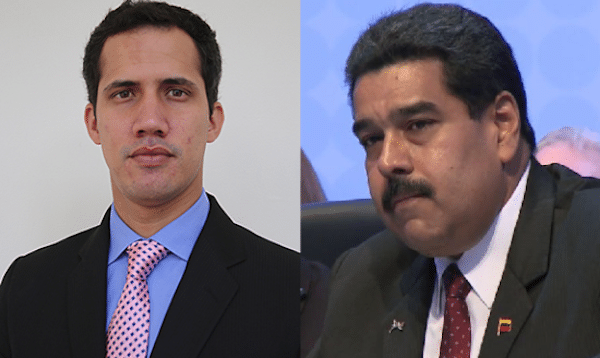 The Trump administration’s January 23 recognition of Venezuela’s National Assembly leader, Juan Guaidó, as the president of Venezuela, in opposition to the “de facto” and “de jure” president of Venezuela, Nicolas Maduro, threatens an avalanche of nations recognizing leaders of various political factions in countries around the world as legitimate governments. In reaction to Trump’s move, Maduro severed diplomatic relations with Washington and ordered all U.S. embassy personnel in Caracas to leave the country within 72-hours. Venezuela’s opposition-controlled National Assembly declared a caretaker government as a rival to the Maduro government with Guaidó as the interim president. Maduro was recently sworn in for a second term as Venezuela’s president, an action that has been rejected by the U.S.-financed Venezuelan right-wing opposition. U.S. Vice President Mike Pence declared “the United States’ resolute support for the National Assembly of Venezuela as the only legitimate democratic body in the country.” Luis Almagro, the secretary general of the Washington-based Organization of American States (OAS), previously referred to Guaidó as Venezuela’s “interim president.” OAS members Canada, Colombia, Brazil, Peru, and Argentina stand ready to recognize Guaidó as president of a rival Venezuelan government. Mexico has rejected the anti-Maduro stance of the “Lima Group,” a right-wing bloc of Latin American states demanding Maduro’s ouster.